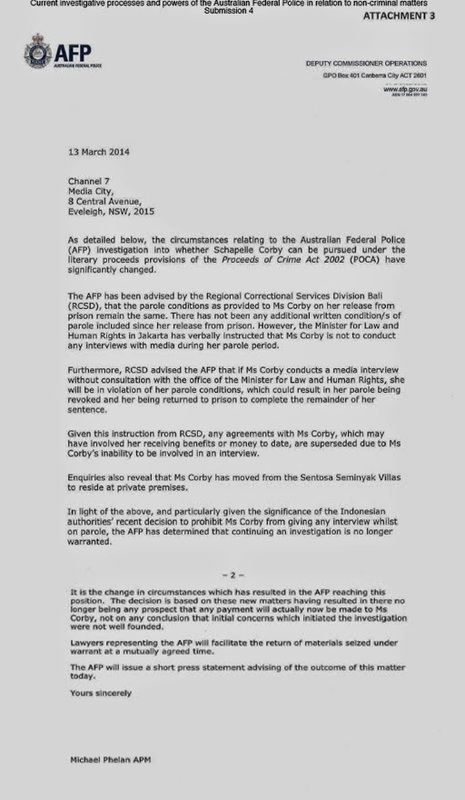 The intimidatory raids by dozens of armed AFP officers on the offices of Seven Network, and Mercedes Corby's lawyer, were an integral part of creating the circumstance in which Schapelle Corby's human right to free speech was revoked. She was gagged, under threat of re-imprisonment, following a range of unprecedented interventions by the AFP, senior Australian politicians, and the Australian media. 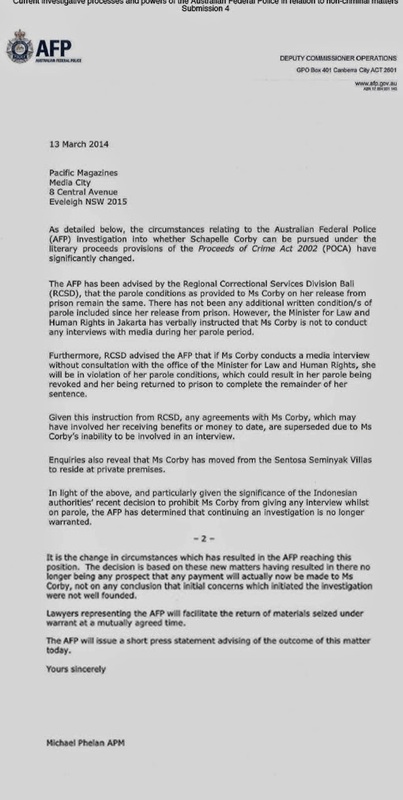 The following letters, from the AFP to Seven Network and Pacific Magazines (New Idea Magazine), inform them that its own actions are now defunct, given that the wider objective, the gagging of Schapelle Corby, has been achieved. The contents of this website, and the definitive ministerial cables and correspondence published on it, therefore remain relatively hidden, with the Australian public largely unaware of its existence.